The lowdown: Jake Gyllenhaal reminds us again he’s one of Hollywood’s finest thesps with this urban horror comedy. Bug-eyed and sunken cheeked, his Louis Bloom is a deliciously dark creation, crawling LA’s nocturnal streets looking for accidents, crimes or any sensational misery he can capture on camera and flog to Rene Russo’s ratings chasing TV news editor. 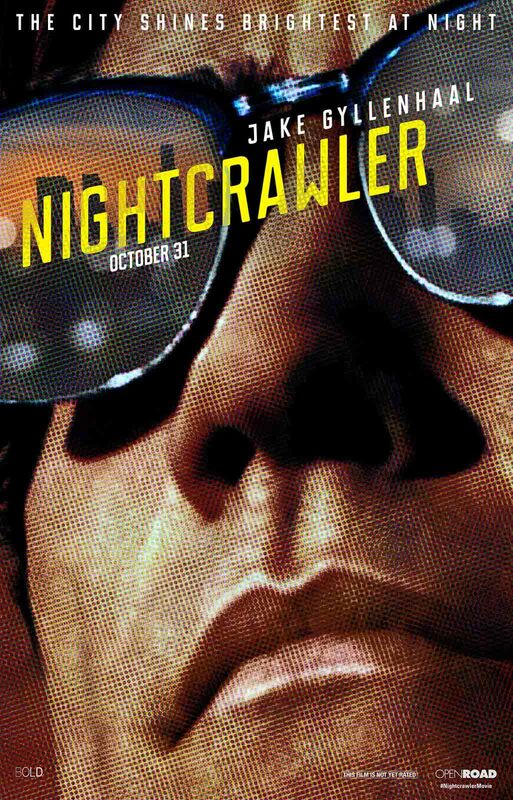 Psycho chills and sledgehammer satire are glazed with a Michael Mann style neo-noir sheen, and even though others films have driven these mean streets before, Nightcrawler is a bewitching, disturbing, laugh-out-loud success. 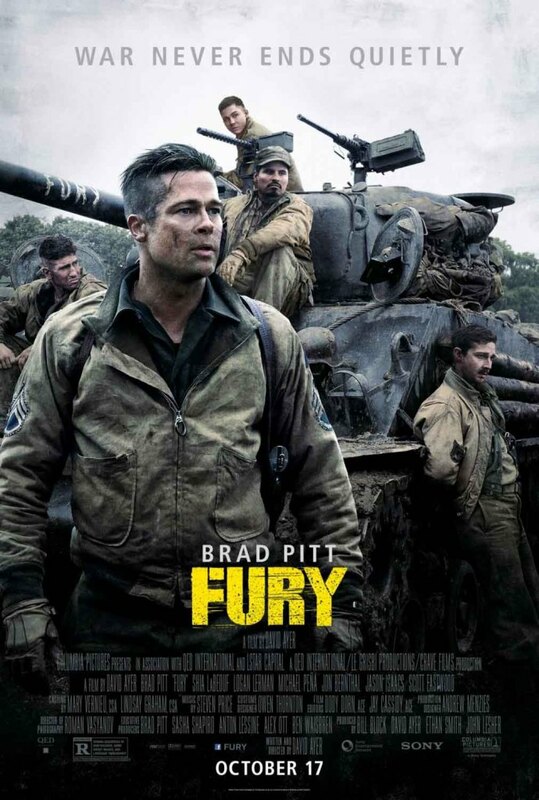 Depicting the last just war as a hellish landscape of body parts and impossible moral quandaries, Fury is a potent mix of a guys on a mission movie shot with a modern viewpoint. War’s brutalising effects, the atrocities the Nazi regime inflicted upon its own people and heart-in-throat battle sequences are shown with raw immediacy putting you inside the eponymous Sherman as the shells fly. Closing the 2014 London Film Festival, the film was joined by its director David Ayer, plus cast members Brad Pitt, Shia LaBeouf, Michael Pena, John Bernthal and Logan Lerman. At the film’s press conference they spoke eloquently and informatively about bringing to the screen a memorable portrayal of conflict in the final days of World War 2. The lowdown: War may be Hell, but once more makes for blistering cinema. Brad Pitt gives arguably his best performance to date as Sgt. Don “Wardaddy” Collier, leading a seasoned Sherman tank crew deep into Nazi Germany during the last gasps of WW2. But, the arrival of Logan Lerman’s callow Norman forces the men to see how three years of conflict has brutalised them as moral quandaries pile as high as the bodies. Riveting and shocking, with the horror of war painted in bold red strokes. Make tracks to see it. 12 days. 50 cinemas. 248 movies and documentaries and 148 shorts from 70 countries. Over 700 guests. Over 160,000 audience turn-out. 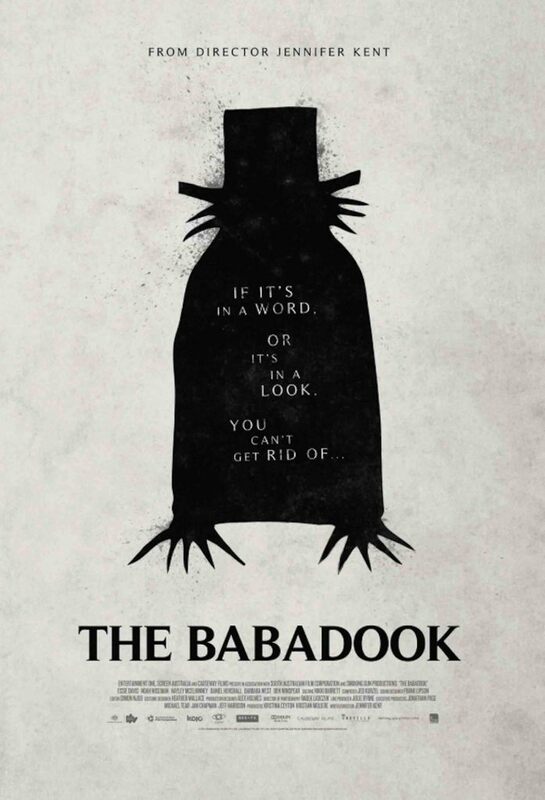 But, there can be only one Electric Shadows London Film Festival 2014 Top 10. Before we get to the all-important list there were some films that may have made the cut if we’d been able to catch them. So, in the spirit of full disclosure we were unable to check out amongst others German Concentration Camp Factual Survey, The Tribe, It Follows, White God, The Town That Dreaded Sundown and Wild. 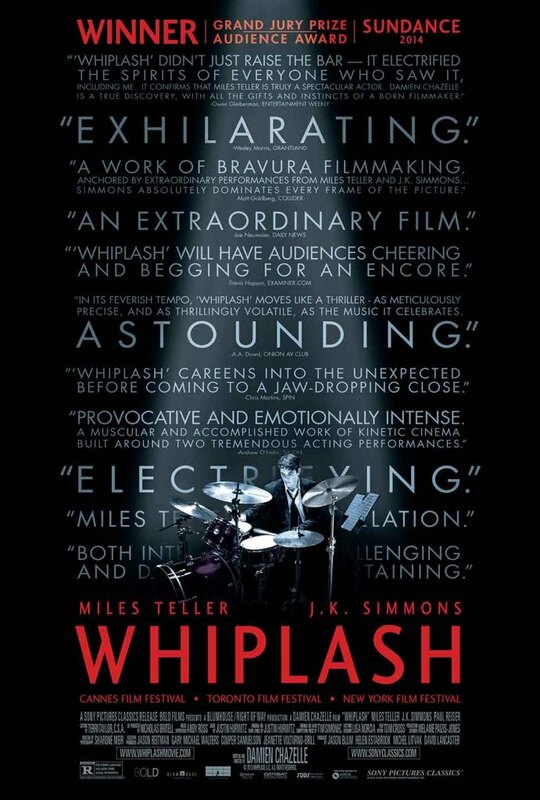 But, if those films rival what is on the below list, we have some fine viewing ahead of us. The lowdown: Intense account of Olympic wrestlers Mark and Dave Schultz and their relationship with bizarre multimillionaire John Du Pont. 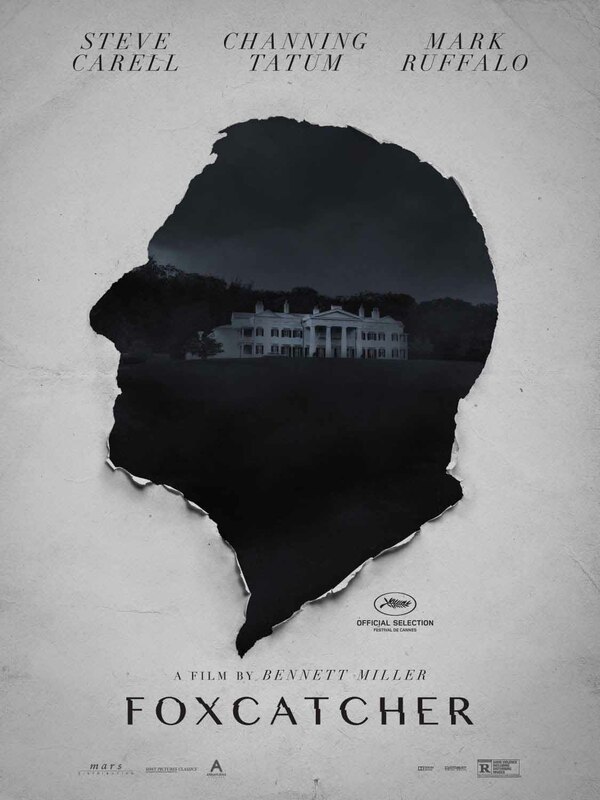 Ambition, paranoia, delusion and control are Du Pont’s driving impulses and his vast wealth and skewed perception of human interaction set the stage for a particularly dark tale, captured with a clinical eye by Capote director Bennett Miller. 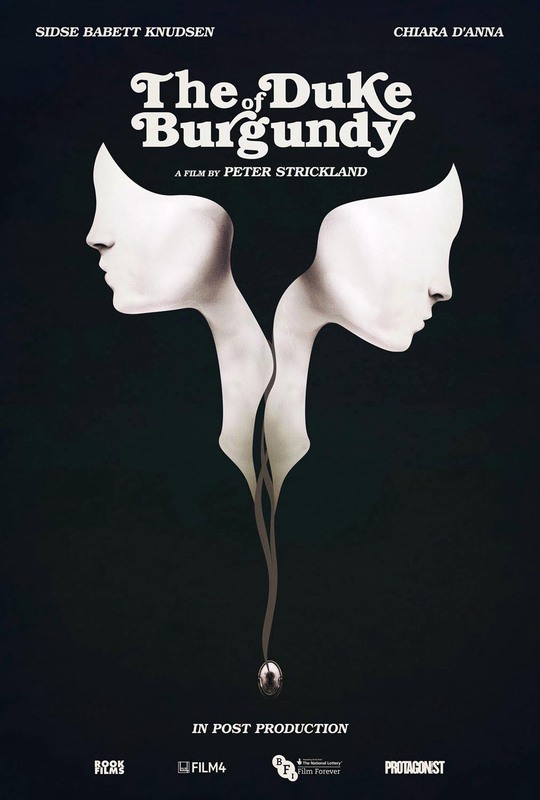 Likely to be too remote for some, but the performances by Tatum and Ruffalo as the brothers and Carell as the unsettling Du Pont are faultless. 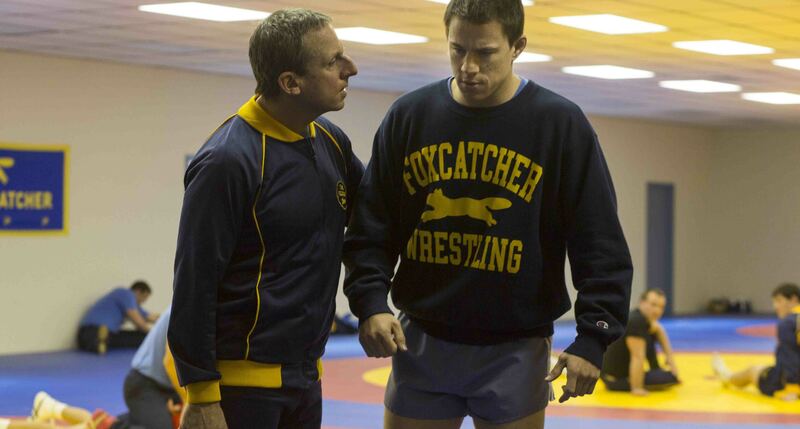 The full verdict: With pun fully intended, Foxcatcher is a movie to wrestle with. 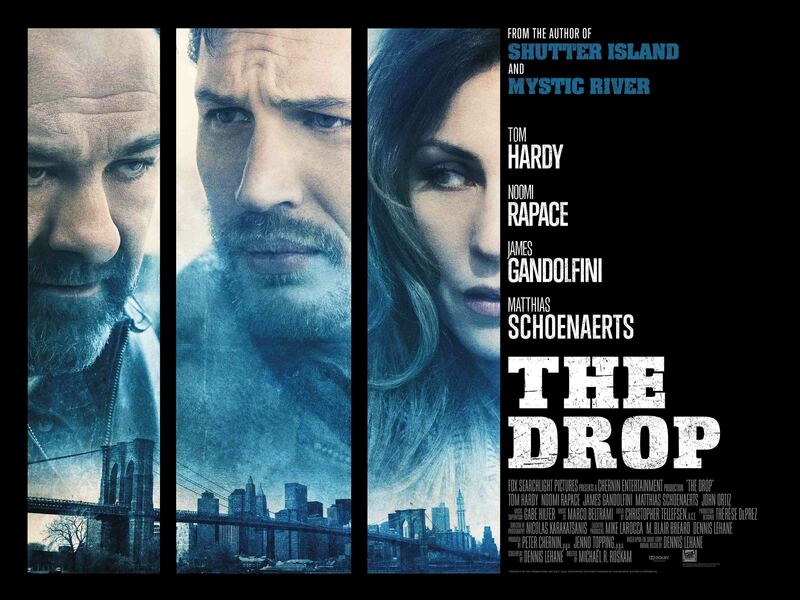 The lowdown: Destined to be remembered as James Gandolfini’s final screen appearance, this crime drama does his talents justice. Tom Hardy takes centre stage playing a good-natured, soulful bartender at Gandolfini’s New York bar. When stick-up men jack a $5,000 drop at the bar intended for Chechen mobsters the two must retrieve it before they experience disappointment Eastern European gangland style. Solid crime thrills from the writer of Gone Baby Gone and Shutter Island.